Zone 6. Water Pennywort. 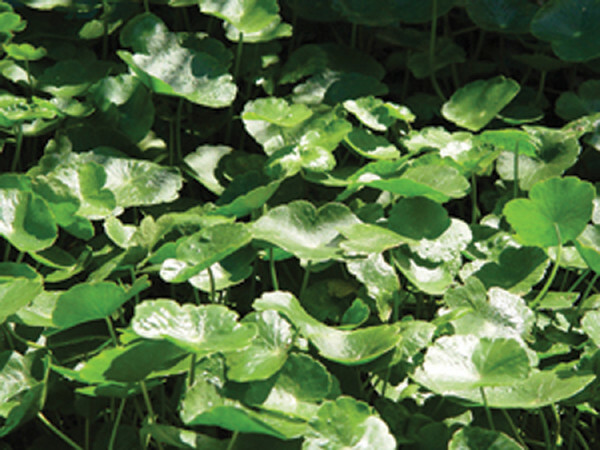 The small upstanding round foliage of this unique variety makes a great addition to any pond or water garden. Excellent for streams and areas of swiftly moving water. 6" tall.